The Government Medical Officers’ Association (GMOA) on Wednesday wrote to Inspector General of Police (IGP) Pujith Jayasundara requesting for his immediate intervention to punish the wrongdoers in connection with the issues of the South Asian Institute of Technology and Medicine (SAITM) in Malabe. GMOA Assistant Secretary Dr. Haritha Aluthge told a media briefing that at present authorities related to the SAITM were attempting to go above the law. “The Police has still not taken any action against SAITM CEO Dr. Sameera Senaratne, even though they have revealed that he had allegedly staged the shooting which took place in Malabe to falsely portray his life was in danger,” he said. He said therefore the GMOA had requested the IGP to investigate the issue and added that the country’s judicial system should be equal to all. He said the SAITM had usually followed all its practices despite the Sri Lanka Medical Council (SLMC) had rejected to approve it. He also said the SAITM issue was second only to the alleged controversial bond sale issue. “Recently, SAITM Chairman Dr. Neville Fernando has forcibly entered Kethumathi Maternity Hospital in Panadura with a group of some other men. They have destroyed several properties belonging to the hospital including several things used to protest against SAITM. He has no right to enter a public place and destroy those State properties,” he said. He said no investigation was carried out on this incident by the Panadura Police. It is you the GMOA that is damaging public (by trade union actions) and public property by defacing them by all your posters pasted on them. Its high time the government pass laws making the health service essential service. I am afraid GMOA too is not obeying law. Government servants cannot do private business. Are your members obeying law in this instance (private practice). Since when did GMOA obey law. Supreme Court verdict for SAITM paid training at Avissawela hospital was sabotaged by GMOA. Verdict of SAITM internship was followed by street marches. They are NOW under the law and soon will be legally destroyed. Kethumathi was Dr.N's Thankfully false defamation is not allowed. Street hooligans sit in tents and defame and public are sick of them. Write some free prescriptions from there for the beggars. Tides turn quickly. It is high time that somebody refer this bunch of lunatics to Angoda psychiatric hospital. If the GMOA says that the country is ruled by the politicians, then we have to say the sick are ruled, tortured, humiliated and finally killed by the GMOA. First GMOA should learn to respect the law of the land before pointing their fingers at others. The truth is country and public are ruled by educated and professional thugs. That's exactly what the GMOA is trying to do-wrest power from the politicians and run the government by themselves with the collaboration of a washed out previous regime!!! HOSPITALS RULED BY GMOA NOT BY LAW. This is absolutely correct. People who execute law and order dancing to the Politician's tune. Look who is talking and what an idiotic comment. are u guys respecting the court ruling given against SLMC? and of course country run by politicians and they are the law makers. But you think GMOA is running the country. Hope in desperation, the GMOA, will in the coming close future will not attribute it to the Judiciary ! The GMOA lunatics are also trying to rule the country it seems. If that happens - we will see how the Judiciary will react - knowing nothing is happening so far in GMOA going against their (the judiciary's) court ruling ! Lets appoint the 'righteous' GMOA to the cabinet. They are poking their noses into every facet of our lives, hope someone have the steel and courage to put these rats in the right place. What have they got to say about this news report - "Two judicial medical officers who provided false autopsy reports in high profile murders will face criminal investigations and they will also be reported for professional misconduct, the government said today." 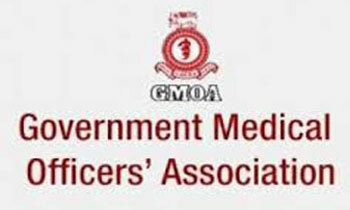 GMOA (Government Malicious Officers Association) is pointing finger at others, while four fingers are pointed at them. The treatment of the sick and the injured is an essential service. Government doctors must be prohibited from striking. In the interests of patients, any private side business must also be prohibited, as revised doctors commit mistakes. Every doctor who has studied at the expense of taxpayers must be obliged to work for the same number of years in a government hospital as his studies have lasted. Very funny country. Doctors behavior worse than culprits. No they opening the eyes but Drs to tel that in which medical book says that to achieve your demand Drs can have strike and put the patients in trouble? When people/doctors with a 1st degree from a low ranked sri lankan university get involved in politics, it is worse. Someone please give this guy a damn car permit! Then why cannot they accept the court ruling on SAITIM students??? What a late realization ! And it is not by GMOA either ! It is so sad that Sri Lankan qualified doctors think that they are so superior when really they are so inferior. First accept the court of appeal verdict and show us that you obey the law.Or do you think that you should be above the law ? The government should put a halt to private practice. Thank God country not run by Doctors they would fleece everybody. Educated using tax payers money and looking at every opportunity to take money as private Dr's. Government Dr's must be banned from private practice.